SMIDGE OF THIS: It's Christmas Card Time! It seems like each year I get into crunch time with Christmas cards. I order them late in the game and then put a lot of pressure on myself to address them all (in calligraphy, no less!) and send them out as quickly as possible. Incorrect addresses, running out of stamps, getting low on calligraphy ink -- EEK! So this year I made it part of my 30 Before 30 In 30 list ... number 7, in fact ... to order Christmas cards in a timely fashion. No stress, no hurrying, just pure fun! I've chosen to go with holiday cards from Tiny Prints this year because of their fantastic selection, great customer service, and sheer cuteness factor. I mean, is it just me, or does it seem like every time you get the cutest invitation or birth announcement and turn it over, there's the Tiny Prints logo?! 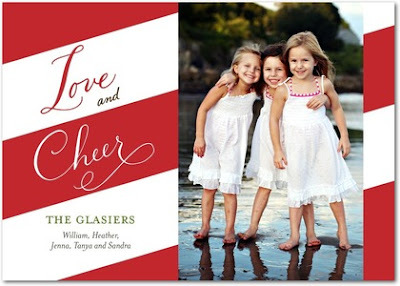 Love And Cheer found here. Can I brag on Tiny Prints a little more? Their site contains a filter on the left side bar which makes choosing your card from the hundreds available much easier. For example, I knew I wanted our cards to be flat notecards (rather than folded - I want to be able to sign our names & that's it!) and 5x7 or 7x5 shape. So I just clicked those boxes and it whittled down the possibilities. What's your favorite of the above choices? 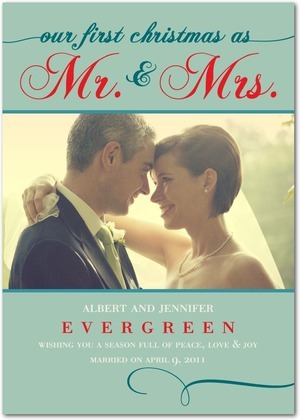 You TOTALLY have to do a Mr. and Mrs. card, it is just SO appropriate for your FIRST Christmas as newlyweds! My favorite is "Festive First." 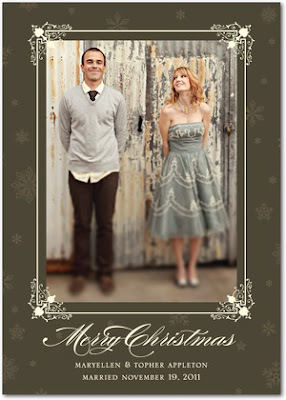 PS - I applaud you for tackling your cards with calligraphy! I decided to print address labels for mine. hehe. I love your blog! I am a semi-new follower, but your blog is an everyday must read! 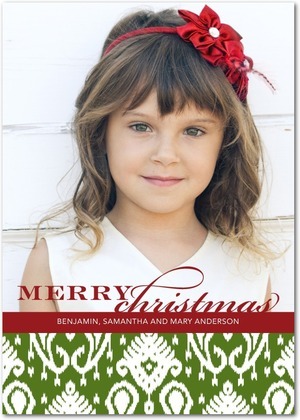 I recently posted a link for 50 FREE Christmas cards from TinyPrints and ordered mine yesterday! You should check it out! I love them all, but the first one is my favorite! Oooo love your choices!! 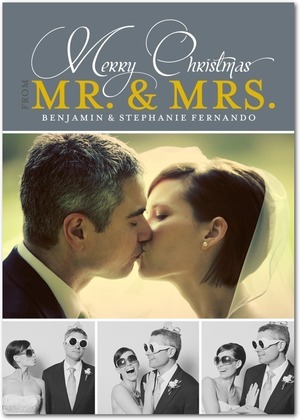 I am partial to Merry Romance! These are so cute! 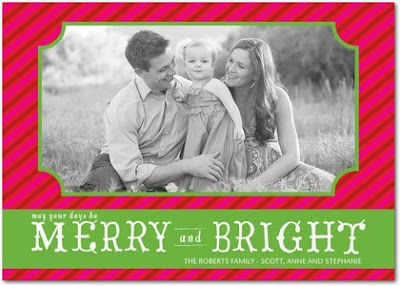 I love the Merry & Bright one! 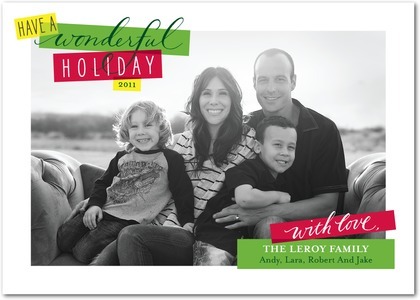 I, too, had such a fun time picking out our *first* Christmas card this year! Mine have been shipped - now I just need to get them back to address. Can't wait to see what you ultimately chose!